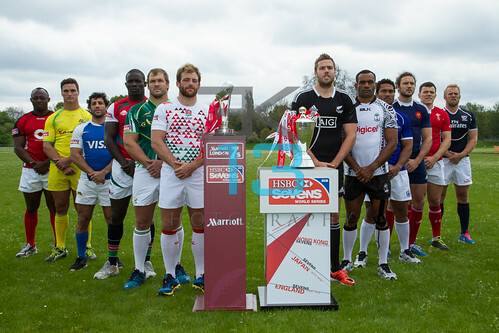 As a rugby fan, unless you live under a rock or are in a coma, you would fail to notice that the RWC 2015 has already kicked off. 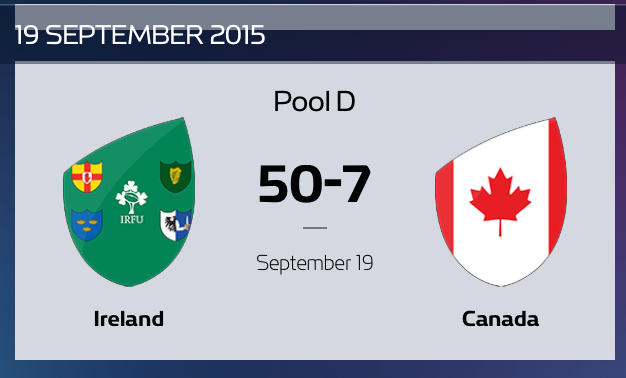 I have been following this tournament since it was announced that England will be hosting. From attending the press launches, trophy tours, ticket design launch and the England 2015 kit launch. My family had to be warned well in advance that whilst the rugby was on, the telly was MINE!!! 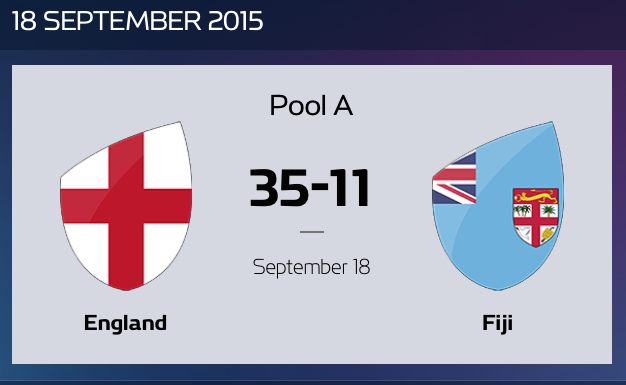 Finally the tournament kicked off on Friday 18th September with England playing against Fiji at Twickenham. The opening ceremony was short and sweet. Then came the match that kicked the whole tournament off. I have to say though the first game was marred by the amount of times the TMO (Television Match Official aka Video Ref) was used. It made watching the first game a tad bit irritating, but it was a brilliant opening match to kick off the RWC 2015 after months and years of waiting. The objective of the television match official system is to ensure accurate and consistent decisions are made on the field in a timely and efficient manner. The TMO is a tool to help referees and assistant referees with their on-field calls and the referee remains the decision-maker who is in charge of the process. Over the weekend, there were 7 matches – 4 on Saturday and 3 on Sunday – and here are the results. 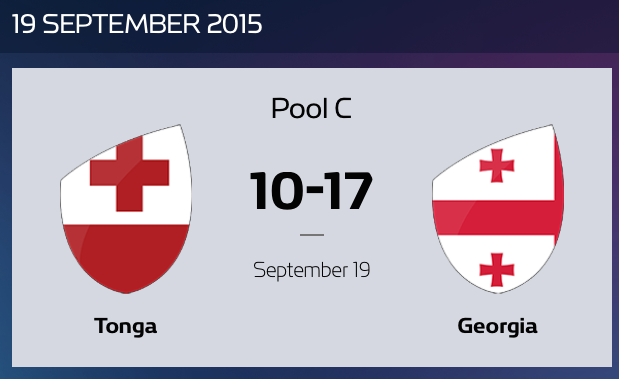 The jubilation of Georgia beating Tonga was clear for the fans to see. This was the match everyone was, still are and will continue to talk about. 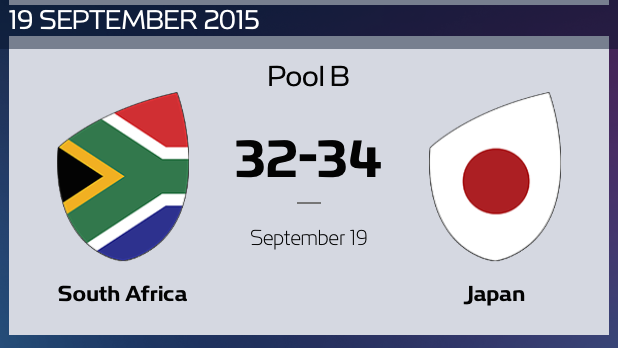 The fact that Japan held out for a try instead of a penalty and managed to beat South Africa made for match viewing gold. 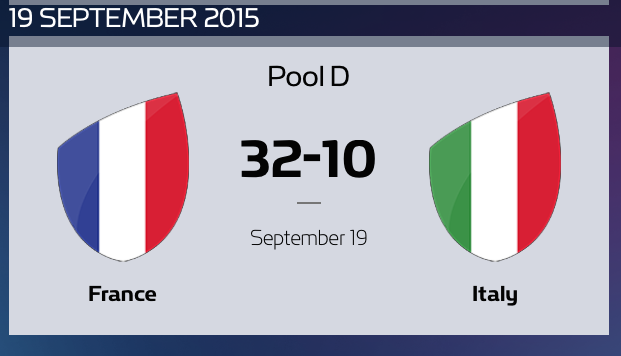 This will be up there as the rugby history highlight of the tournament. 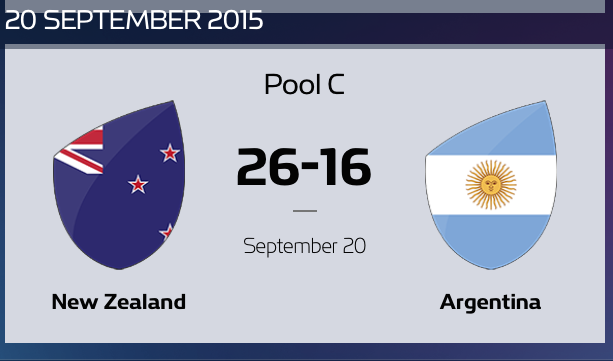 This was the match I was waiting for as defending champions New Zealand took on Argentina. 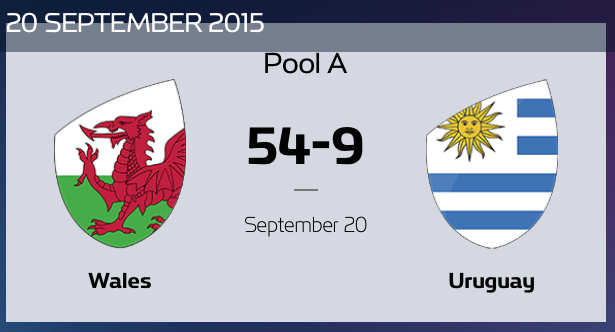 Argentina played well in the first half until the All Blacks outsmarted them towards the end. 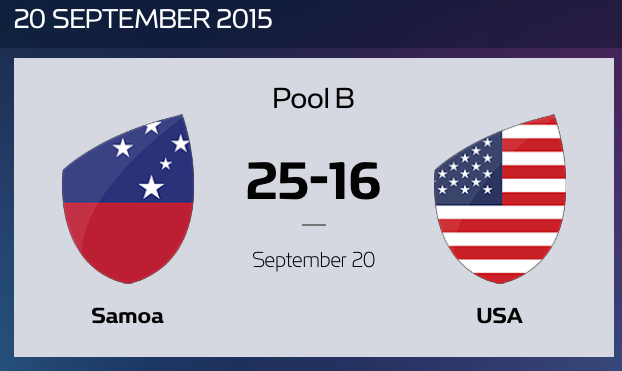 So far underdogs Georgia and Japan are on my teams to watch, with New Zealand still up there as tournament favourites. Let’s see if this will change next week. IRB Hall of Fame inductee after the 2011/12 HSBC Sevens Series and knighthood at the end of the 2012/13 HSBC Sevens Series, has seen Sir Gordon continue to become one of the most successful rugby sevens coach the tournament has ever had. 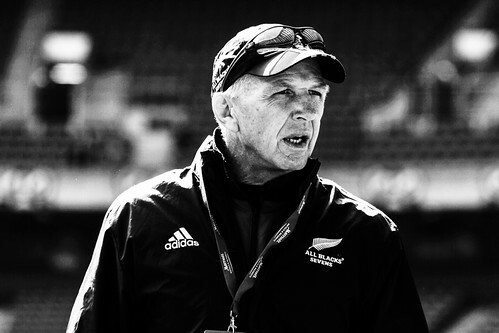 Sir Gordon Tietjens will continue to lead the New Zealand sevens national team as they prepare for the IRB World Cup Sevens to be held in Moscow, Russia on 28 – 30 June 2013. Venue: Barn Elms in Barnes, London. 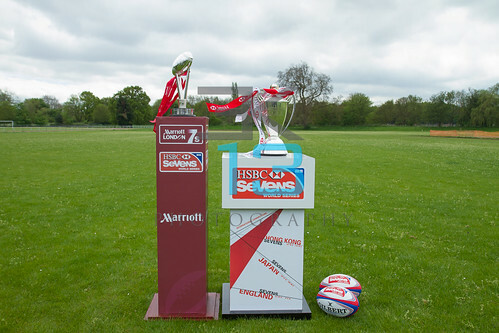 Captains take part in a HSBC Sevens Series official Marriott London 7s launch photo-call at Barn Elms in Barnes, before the tournament starts on 11th and 12th May 2013. 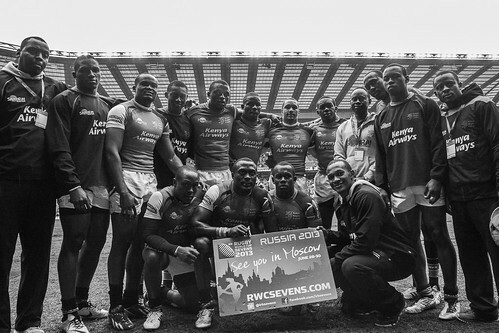 The series is a globally recognised event featuring 12 international teams in the London leg of the series.